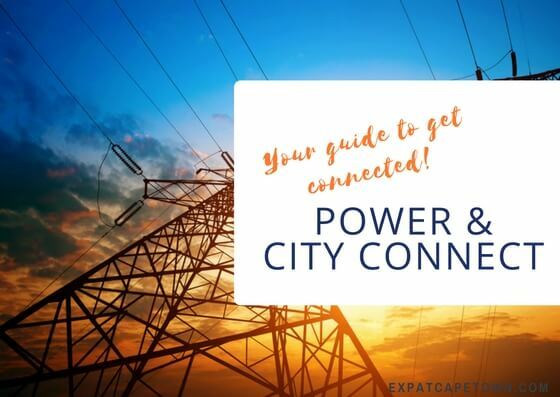 When moving home there are so many things on your mind, you will find this moving list on how to get connected in Cape Town most useful. Here you will get all the information to make for a smooth settling into your new home. The quality of water in Cape Town is high, thus it is potable without any concern. Water is scare in most South African regions. 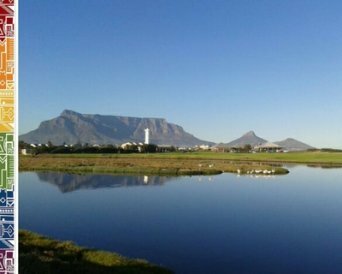 The dams which feed Cape Town's water supply currently only stand at 20.9% and severe water restrictions apply. 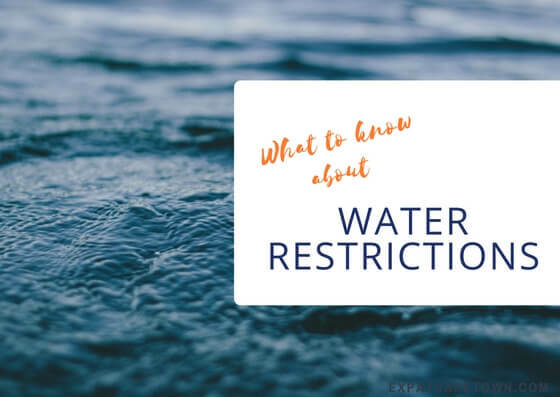 These include: Water usage is limited at 50litres per person per day, swimming pools cannot be refilled and need to have a cover, no car washing with potable water, garden watering can only be done with grey water, borehole or well point water use is discouraged. If there is a well point or borehole on the property, irrigation systems can run if necessary but only on Tuesdays, Thursdays and Saturdays and for maximal one hour. Well-points and boreholes must be registered with the City of Cape Town. Read more about the water restrictions here. Your water and sewerage bill arrives monthly together with the rates and refuse removal bill from the Municipality of Cape Town. For enquiries regarding your water account call 086 010 3089. Moving List Advice: Depending on your rental contract your landlord might ask for payment of your monthly bill of fresh and used water as well as for refuse removal, but he can not ask for payment of the property rates, which are included in the same bill. Water is sometimes included in the rental, enquire with the landlord/estate agent. Another top item on your moving list is certainly how to get connected to gas supply. Gas bottles are used in Cape Town in most households for cooking (and heating). There is no piped gas. It is advisable also to get some gas heaters for winter as electric heaters can be very costly due to higher electricity prices. 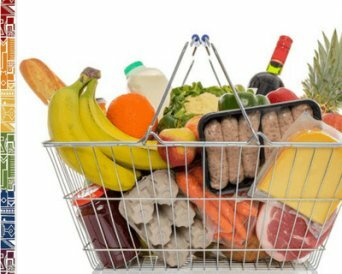 Also should there be power cuts/blackouts due to shortages or glitches in the electric grid, you will benefit from cooking with gas. The cost for a standard 14kg gas bottle is around R340, if you collect and refill the bottles at any depot. A deposit for the gas bottle will apply if you need a new bottle and do not have one to refill. You can get the gas bottles at various suppliers such as Makro, Builders Warehouse or petrol stations. Several gas depots such as Afrox offer refills and deliver/exchange empty bottles with new ones at a discounted price. You will need approximately 2 bottles per year, if you cook a hot meal once a day. Electricity is supplied by Eskom and mainly administered through registered meters from the City of Cape Town. When you move into your new home make sure you get an old voucher with the unique number of your prepayment meter. Make sure you write a special note for this item in your moving list as you can not get connected when you do not have got the meter number. On your moving list, also note that you will need power convertors (for US appliances) and new plugs or adaptors as in South Africa, the plugs have three pins, one bigger round one and two smaller round ones. You can top up your meters either electronically or buy vouchers at certain Eskom or City Power outlets and petrol stations in your area. They will give you then an authorization number which you will have to punch in at your meter. Important Moving-List Advice: Check your name and address on the payment slip immediately as the voucher will not be returned/refunded otherwise. If you have a credit card and a South African ID number (also with PR-holder IDs), however, you can easily register for electronic top up to your prepayment meter. 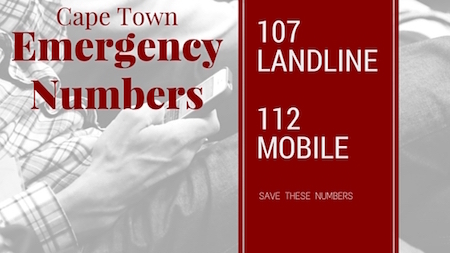 Check here the Municipality of Cape Town website. Faults can be registered here or if you are on Twitter @CityofCT, tweet your concern for fastest responses. Depending on where and through whom you buy your home, you need to make sure the electricity account gets transferred into your name. Direct customers need to apply directly at Eskom: More info here - others to register at the City of Cape Town municipal offices: More info here. The installation of solar power for heating of water is not any longer subsidized. If you buy a house consider an installation of a solar water geyser system (between R15,000 and R30,000). Investments will be paid off in about five to eight years. You will save up to 30% of your monthly electricity costs when you use solar panels to heat your water. Your house value will increase relating to this innovation too. And even when there are power cuts you still can have hot water as the sun shines here most of the days. Garbage Collection is done once weekly in Cape Town. Your monthly council bill which charges the water rates also includes the sewerage, the refuse removal and the property rates. The property rates however will be the landlords responsibility and tenants need not pay them. Please consider also the recycling drop-off facilities which are also available in Cape Town. Recycling is not mandatory like in many European countries. However, Cape Town has started recycling projects in several housing areas where residents are asked to separate their rubbish and fill clear bags with dry recyclable waste which will be collected together with the household at the normal collection dates. 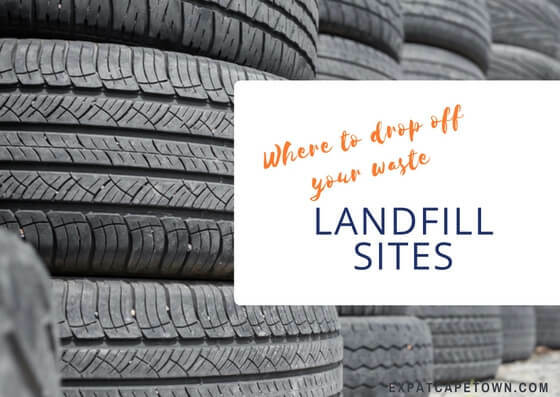 The areas which are offering the recycling facilities are amongst others Hout Bay, Kommetjie at the Atlantic Seabord and Blouberg, Milnerton, Parklands, Durbanville and Melkbosstrand at the West Coast and the Helderberg towns of Gordons Bay and Somerset West. At various shopping centres, petrol stations and hypermarkets, you will find glass containers. Newspapers are also collected at several sites. Many schools and churches also join in the recycling efforts and collect you old papers and so get pocket money from Mondi, a local collector company of the paper industry. Garden refuse mostly should be collected by your garden service should you use one or dropped at landfill sites. There are various collection sites/tips all around Cape Town. There are free community drop-off facilities also for plastics and other recyclable goods. To find the nearest drop-off facility please check the listing of recycling facilities. Important Moving List Advice: You should be most careful what you put in the bin as in most streets the garbage is rummaged through by 'brigades of the trolley army', i.e. desperate people looking for recyclable goods likes cans and metal but unfortunately there is also a risk that your rubbish will be checked for hints regarding your lifestyle which can lead in the worst case to crime as personality fraud or housebreaking. One of every expatriate’s major concerns is the security in your housing area. So in your moving list you should also include to get in contact with a reputable Armed Response Company. There are several bigger companies offering security services like ADT, Chubb, Star Alarms and many more. Check in your new neighborhood which armed response team your neighbors use. The security companies displays on the walls and fences are visible and act mainly as a deterrent. So the more signs of one company you see in your housing area the more frequently their response and surveillance teams will patrol this area. The more clients use their services, the more support you will get. The same goes for Neighborhood Watches, who patrol the estates on foot, by bike or car. Get informed about your area and join. One of the main issues when getting connected is getting a reliable digital connection. Connectivity is sometimes a struggle as ADSL has not reached many suburbs yet and internet speed is a major issue. There are various digital providers in South Africa such as Afrihost, Mweb and of course Telkom, South Africa's main communications and service provider. Find a good listing here. Among the most popular cellular service providers are Vodacom, MTN, Cell C and Afrihost as well as Telkom. Important Moving List Advice: When moving services be aware of fraudulent practices and change your internet/modem passwords right away after you had your service installed. Do not hesitate to contact the police and file a claim in case you get told by Telkom that somebody hacked into your system should you notice any irregularities. This is unfortunately a common occurrence, so get a case number from police should disputes arise and send through your complaint to the communication provider. Our case got solved even if it took them one year to find the bad guys. There are five local television channels: SABC 1, 2, and 3, M-Net and e.tv, which provide English, Afrikaans programs and news in other local languages. You can connect to satellite services which are available through Multichoice/DStv or Deukom. DStv also provide more than 100 TV channels and 40 audio channels in different bouquets like Sports and Movie channels, CNN, BBC, SKY as well as Indian and Portuguese bouquets. The price range for these bouquets are between R199 and R759 per month. Check the DStv site for more information. Deukom is a provider for German Television channels. They offer transmissions of various German TV channels, among them ARD, ZDF, 3SAT, Arte, RTL, SAT1, PRO7, Vox, Fix und Foxi, N24 and Deutsche Welle programs and several Radio channels, among them Bayern1, Bayern3, Antenne Bayern, hitradio and Deutsche Welle. This package costs between R649 and R845 per month, depending on subscription period. An one off connection fee of R199 applies. Get more info on Deukom here.